2019 trips and multi pitch classes. Come join us in central Thailand! 2018 trips and multi pitch classes. Come join us in central Thailand! 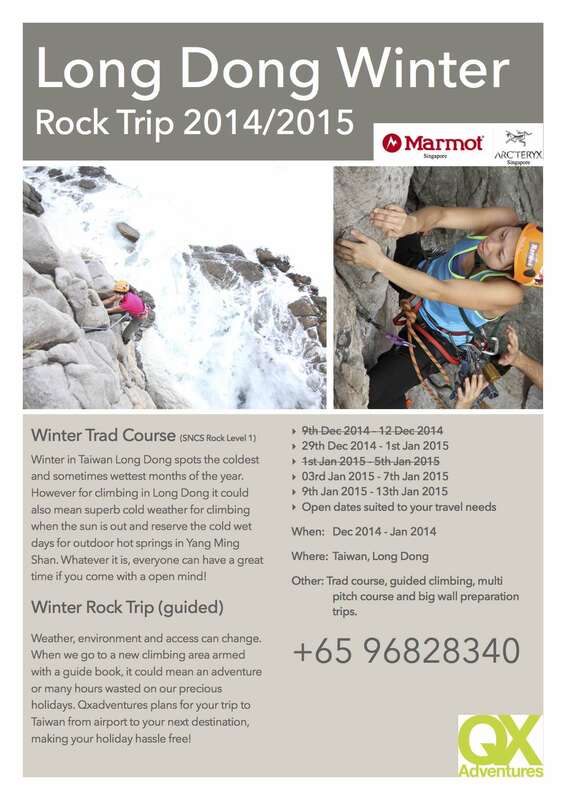 Winter climbing trips and courses in Taiwan! Time to whip out those jackets and get ready for sending conditions! Low temps and cooling days makes it all great for rock climbing ! Sept 2015 to Dec 2015 trips and courses. SNCS Sports level 1,2,3 and Rock level 1! March 2015 to May 2015 Trips and courses. SNCS Sports level 1,2,3 and Rock level 1! 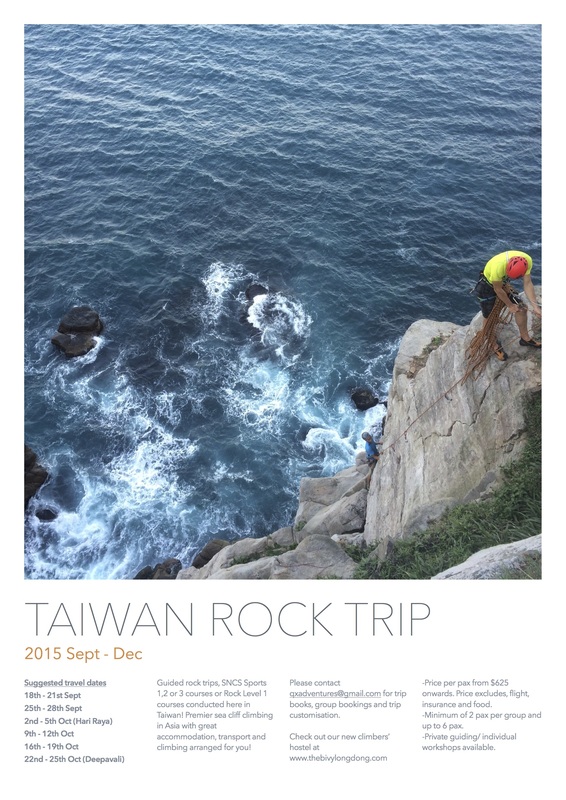 From June – August 2015! Check the Calendar above for updated free slots! SNCS Rock Level 1! It is an advance course after SNCS sports climbing Level 2 where you progress from single pitch sports climbs to single pitch traditional climbs. Put your lead climbing skills to the test by placing gears like SLCDs and nuts in line of weakness in the rock instead of clipping bolts. 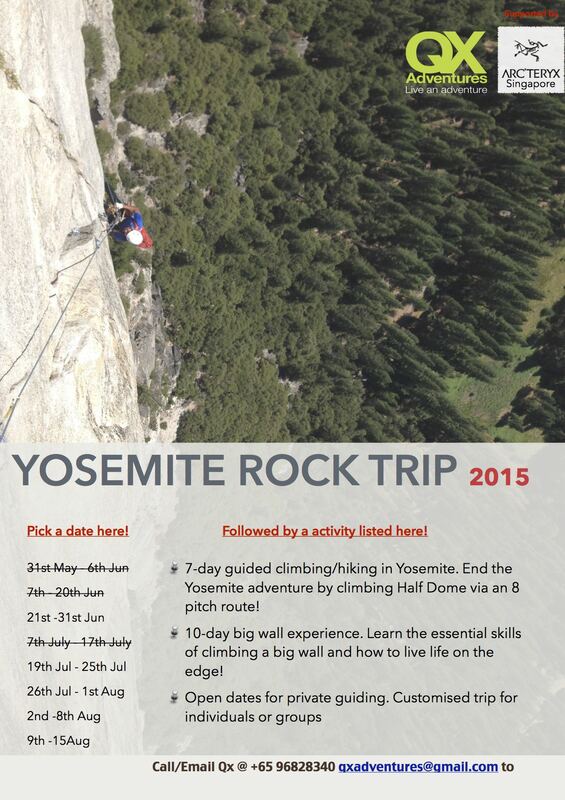 You will also learn how to climb cracks, build anchors and abseil from fixed anchors. It is a full climbing experience outdoors! If you arrive at the arranged meeting time on the arrival date and departure date, we will have a car to take you to the airport and back. Read more about this amazing climbing destination here! 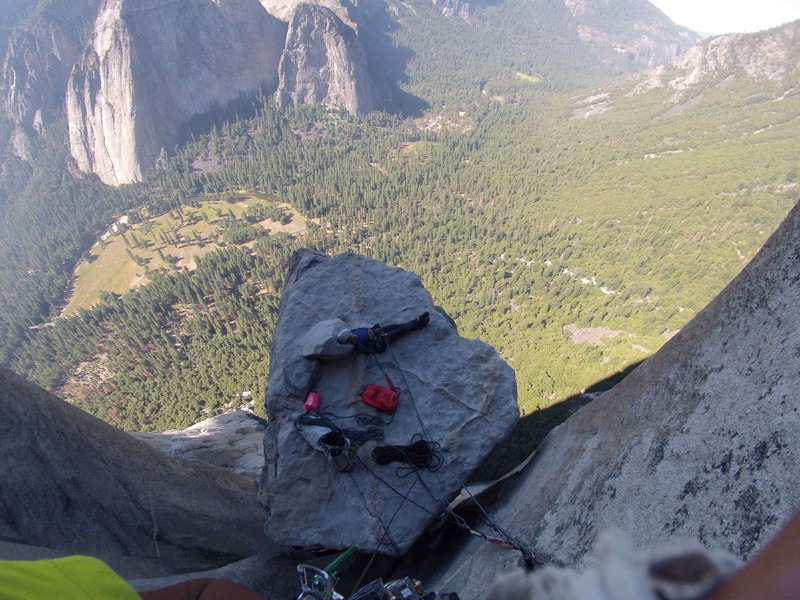 Rock climb in one of the world’s most beautiful place on towering granite walls in Yosemite Valley from June to August! Read about Yosemite experience here! I got my lvl couple of months ago and have been leading in indoor gyms. But no outdoor experience yet. Am I still eligible to join for the rock level 1? Also do we need to bring our own gears and when is the deadline for the confirmation of the trip. I got my lvl 2 couple of months ago and have been leading in indoor gyms. But no outdoor experience yet. Am I still eligible to join for the rock level 1? Also do we need to bring our own gears and when is the deadline for the confirmation of the trip. Yes, lead climbing experience is the most important during the trip. Of course we will go progressively which will eventually gear you up to climbing on trad lead. So outdoor climbing experience will be great but not a must. 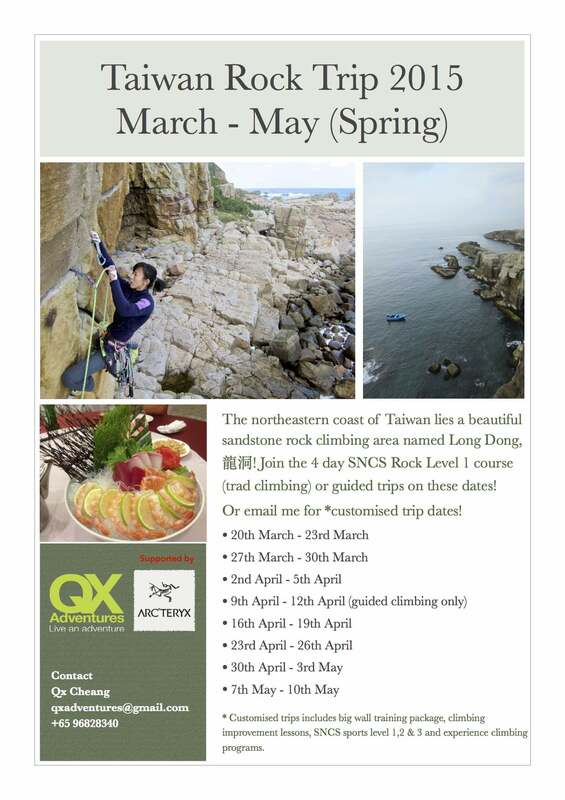 You can consider coming a few days before the course and have a few days of guided climbing which will be very beneficial as not only you gain experience on outdoor climbing you also get use to climbing on Sandstone which is kinda different from climbing in the gym. Alternatively there is always organized trips to Dairy farm by us which you can join in order to gain more experience. You can email me your contacts and I can help you with the administration. There is no deadline as the course closes when each trip is filled up. Do leave your contact so it will be easier to get in touch with you.